There is a plethora of gemstones and minerals found across the globe. Some of them are considered to be high-quality gemstones and others are being placed in the category of moderate or low-quality gemstones. The quality of gemstone is based upon the several components such as color, cut, grading and origin of the mineral or gemstone in common word. The gemstones are found from the mines, rivers, and forests around the world. 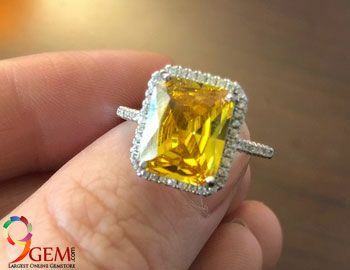 A gemstone or mineral that possesses the brilliant color, cut, rare inclusions and largely used for making ornaments is stated as the precious gemstones. The precious gemstones are considered to be high-quality stones they look fantabulous and attract the gathering around it majorly. What are Semi Precious Gemstones? 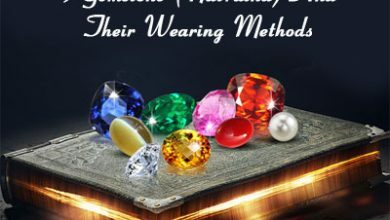 These are less valued gemstones as compared to the precious gemstones. These stones are spotted in the abundant quantity and they are less attractive on the grounds of color, cut and inclusions. 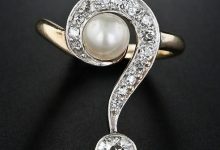 So, the distinction between precious and semi-precious gemstone is genuinely based on the two factors rarity and quantity. However, it is not always true that precious stone will be valuable and semi-precious stones will be less valuable. 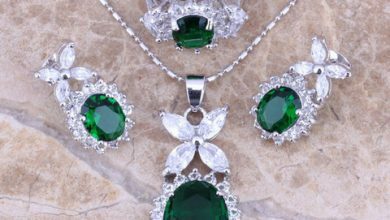 There are numbers of semi-precious gemstones for instance: green garnet is a semi-precious stone, but it is considered more valuable than the so-called precious stone emerald. Sapphire is one of the most worthy, precious stones. It is mostly spotted around the mines of Sri Lanka, Brazil, India, and America. 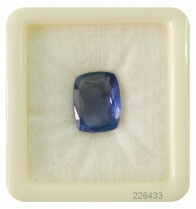 The Ceylon sapphire Gemstone is termed being the most valuable sapphire around the globe. Sapphire is basically a mineral corundum and aluminum oxide. This stone is mostly associated with the color blue, however, it is also found in other colors such as yellow, pink, purple, orange and green colors. The reason why sapphire display different color entirely depends upon the trace of elements chromium, iron, titanium, and copper presence in the formation of the stone. For instance, the presence of elemental chromium bestows this stone exceptional blue color. The sapphire is ranked so high in the list of all gemstones because of possessing excellent physical and metaphysical attributes or characteristics. The sapphire is intensively durable stone. On the Mohs scale, its durability is 9.0 that is only subsequent to the diamond. Due to its high durability, the stone blue sapphire is used in ornaments and industries. Blue sapphire along with the precious stone yellow sapphire enjoys the reputation of being cast in the list of precious gemstones according to Indian astrology. Moreover, blue sapphire is also stated as the birthstone for the month of September, and Yellow sapphire is considered to be the birthstone for zodiac sign Sagittarius. Apart from sapphire, the other gemstone which has achieved the reputation of the precious stone is Ruby stone. It is an excellent red color stone composed of aluminum oxide or mineral corundum. The stone ruby displays the red color due to the presence of element chromium within the gemstone. Ruby is one of the rarest gemstone found around the world. The best quality ruby gemstone is considered to be the Myanmar Ruby. The brilliant red color ruby gemstone is largely being used for the purpose of making ornaments. 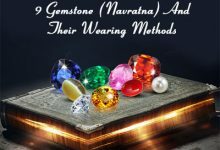 It is a highly expensive gemstone the value of this stone can be deduced from the fact the price of ruby stone sometime surpasses the diamond stone. Besides being one of the most mesmerizing gemstone rubies also holds astrological and metaphysical properties. The red color ruby stone is recognized as the birthstone for month of July. The green color alluring emerald or Panna gemstone in (Hindi) considered as a precious gemstone. The valued gemstone is composed of the mineral beryl and it gains the astounding green color due to the presence of the element chromium or sometimes vanadium. The stone is one magnificent appearing stone and recommended to be used in the form of various jewelry ornaments. The hardness of this precious stone is 7.5 which is quite noticeable. The fabulous emerald gemstone has been used since ancient times. It is stated as the birthstone for month of May. This stone is also favored for providing great health benefits. It is said that wearing this stone will help you overcome depression, mental worries, and pancreas related diseases. Diamond is the most precious gemstone. Diamond has a cubic structure and it is the most durable mineral. On the Mohs scale, its hardness at maximum level 10.0. The diamond is considered to be the most benevolent mineral and it is majorly being used in the jewelry making process and in various industries. Diamond is also considered to be the birthstone for the month of March. Hence, if you are born in the month of March, so you must wear this benevolent stone to obtain the divine powers bestowed on this auspicious stone. These are the list of all precious stones found across the world. Amethyst is one of the most charming semi-precious gemstones. The purple color stone is a mixture of quartz largely being used in jewelry. The semi-precious gemstone amethyst primarily hues from a light pinkish violet to a deep purple. The secondary hues of this auspicious stone are either red or green. The hardness of the amethyst stone is equivalent to the hardness of the quartz. The best quality of amethyst gemstone occurs in Sri Lanka, Siberia, Brazil. Along with using this stone for the purpose of ornaments; this gemstone is also immensely popular for its metaphysical and divine powers. Since ancient times, wearing this stone curbs intoxication or drunkenness and help in defeating the mental tensions. Amethyst gemstone is also considered as the birthstone of month of February. It is also stated as the substitute of precious stone blue sapphire stone. Topaz stone is a semi-precious gemstone which is found in different colors and varieties. The topaz gemstone exhibits numerous colors such as blue, yellow, pink, white, green, red and black. Topaz is composed of silicate mineral of aluminum and fluorine. Nonetheless, topaz is found in various colors and shapes, but the best quality topaz id colorless. The rich quality topaz stone is found in places like Afghanistan, Sri Lanka, Sweden, Japan, Brazil, Mexico and Australia. Topaz is considered as the birthstone for month of November. So, if you are born in the month of November so you should wear topaz stone to invite luck and prosperity in your life. This stone is famous for its healing properties. It is said that wearing this stone will ward-off against mental illness and prevent the joint pain, improves the immunization system, diabetes, kidney and stomach related problems. The blue color topaz stone is used as the replacement of expensive precious stone blue sapphire. 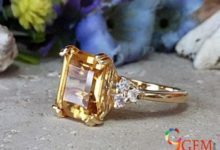 Similarly, yellow topaz can be worn as a replacement for precious stone yellow sapphire. It is an opaque gemstone. And it is stated to be the birthstone for the month of December. It is rare and important in better evaluations and has been prized as a gem and ornament stone for a large number of years attributed to its extraordinary colors. As of late, turquoise has been deprecated, as most other dark jewels, by the presentation onto the business sector of medications, impersonations, and synthetics. The hardness of the finest quality turquoise stone is almost six and it is used for jewelry and its healing properties. The turquoise gemstone was one of the first gemstones to be mined, however, with the passing of time, the quality of this stone have been depleted yet, this stone is still mined from a few mines across the world. The blue to green color stone looks nice when it is worn in the form of rings, necklace, and other important ornaments. The turquoise stone is found in Iraq, United States, Sinai, Afghanistan, and Chile. Opal gemstone is considered to be the gemstone of beauty, dignity, divine grace. It entitles a person to enjoy a comfortable life. The opal is a variety of silicon dioxide. The opal stone has a distinct appearance, it lacks a proper crystalline structure, yet, it has clearly defined. The name opal of this stone is derived from the Sanskrit word update. It has the milky appearance or most probably yellowish appearance. The stone has a brilliant quality of scattering light, especially when the light is dropped from the specific angles. The stone almost exhibits every possible color of the spectrum. The opal gemstone is considered to be the birthstone for the month of October. It is spotted mainly from South Australia. The stone possesses excellent metaphysical properties. 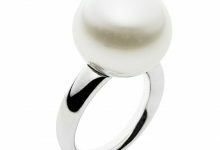 It is referred to being the stone of mystical powers and wearing it will help you to get back your ex in your life. It is a most appealing and famous mineral. It happens in differing qualities of hues and has a few vital gemstone assortments. Beryl gemstone is accepted to bring good fortunes and give interminable energy. Beryl helpful in the treatment for the turmoil of the heart and spine. It animates the brain, fabricates certainty. 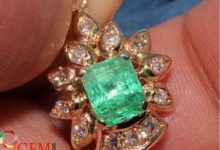 Beryl can more often than not be effortlessly recognized and recognized from comparative gemstones through fundamental testing. One of the most straightforward techniques to distinguish beryl is by trying particular gravity (thickness) and hardness of the stone. It is an Uparatna (Secondary gemstone), for the Lord Budh (Mercury) which is the best option gemstone to Emerald ruled by Mercury. Onyx has a unique liking with Leo, and lesser with Aquarius, Pisces, Cancer, and Libra. ONYX gemstone is a sort of Chalcedony which has parallel joined layers. The shades of Onyx gemstone territory from white to numerous different shades like dark, blue, green, red, nectar and so forth. The different assortments of Onyxes are utilized for Astrological and in addition mending purposes. Some of the advantages of the Onyx stone are: Brings otherworldly motivation. Keeps feelings control. Dispenses with negative thinking and push, Sharpens considers. 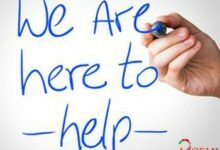 Onyx stores are found in nations everywhere throughout the world, including Argentina, Australia, Brazil, India, Botswana, Madagascar, Mexico, Myanmar (Burma), Pakistan, Sri Lanka, Uruguay and the USA. 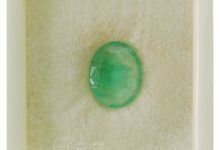 Beryl from Brazil is known not of the best quality Beryl gemstone. Beryl likewise happens in Madagascar, Namibia, Sri Lanka (Ceylon), Nigeria and Zimbabwe. It is an imperative gemstone of numerous hues and is a recorded gemstone utilized for a great many years. Zircon comes nearer to looking like gemstone than whatever another common jewel. Its solid gloss and extreme flame give it a genuine shimmer that is similar to Diamond. 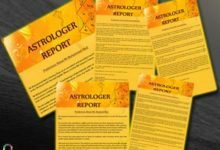 Zircon is utilized as a part of soothsaying for Libra and Taurus sun signs. In Indian soothsaying, Zircon (Jarkan stone) fortifies the planet Venus (Shukra in Hindi). Zircon gemstone gives its wearer mental peace, certainty, a great disposition, and conjugal rapture and medical advantages. Ascendants of Virgo, Gemini, Aquarius, and Capricorn can likewise wear a Zircon gemstone. Zircon sources incorporate Cambodia, Burma, Sri Lanka, Australia, Tanzania, Mozambique, Madagascar, Nigeria, Pakistan, and Afghanistan.